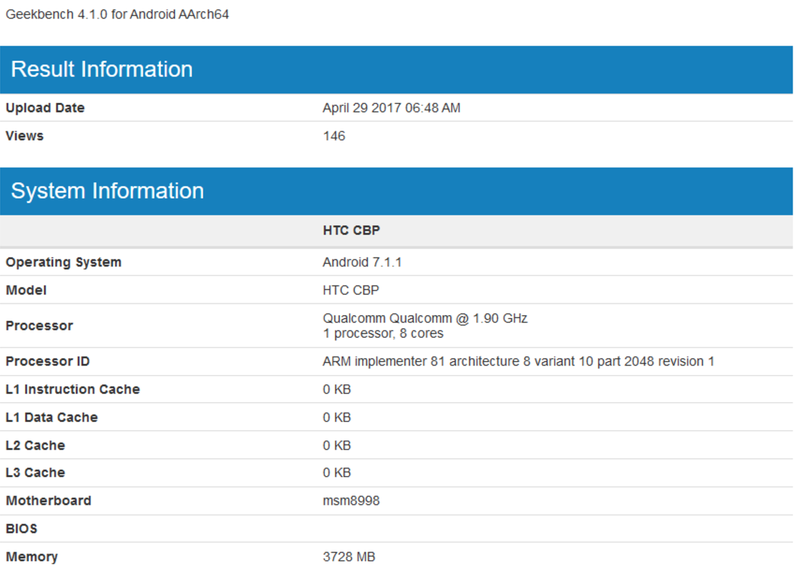 The specifications of the next flagship device from HTC, the HTC U 11 has just been confirmed by it’s spotting on a GeekBench listing. The HTC U 11 has been in the works for quite some time now with consumers finally seeing a glimpse of what the device will have to offer. The specifications of the HTC U 11 smartphone are set to feature a 5.5-inch display with a resolution of 1440 x 2560 pixels, the brand new Qualcomm Snapdragon 835 processor integrated with an octa-core CPU, 4GB RAM, up to 64 GB of internal storage capabilities, and a rumored 3600mAh battery. The HTC U 11 is expected to also implement a 12 MP primary back facing camera, along with a 16 MP front faced selfie-snapping camera. The HTC U 11 is also set to have the latest Android 7.1.1 Nougat pre-installed upon release. Rumors around the device have been circulating online, however as the release of the device gets closer and closer. It is becoming more clear what HTC has in stores for its fans and its consumers. Just recently the company teased its latest feature called the ‘Edge Sense’ in a video that was released onto the video sharing platform, Youtube. 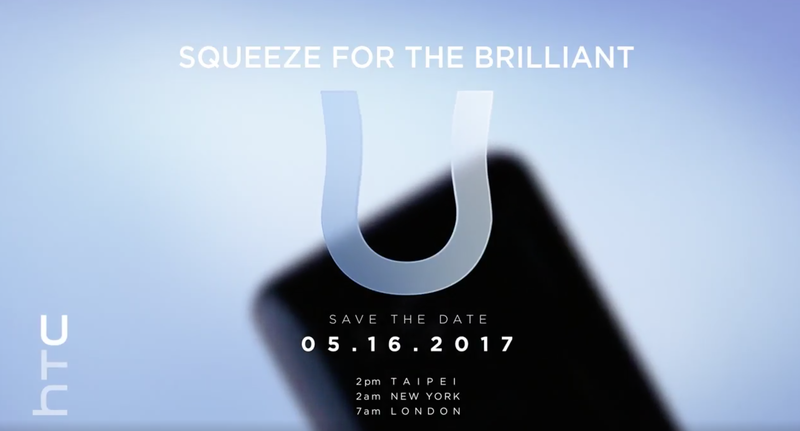 The official release date of the device has recently been confirmed having the HTC U 11 (Ocean ) set for a confirmed launch of May 16th of 2017, with another 5-second teaser video uploaded by HTC. However, the price at which the device will launch still remains a mystery. Speculations suggest that the HTC U 11 will release at a similar price of what the Samsung Galaxy S8 launched at.